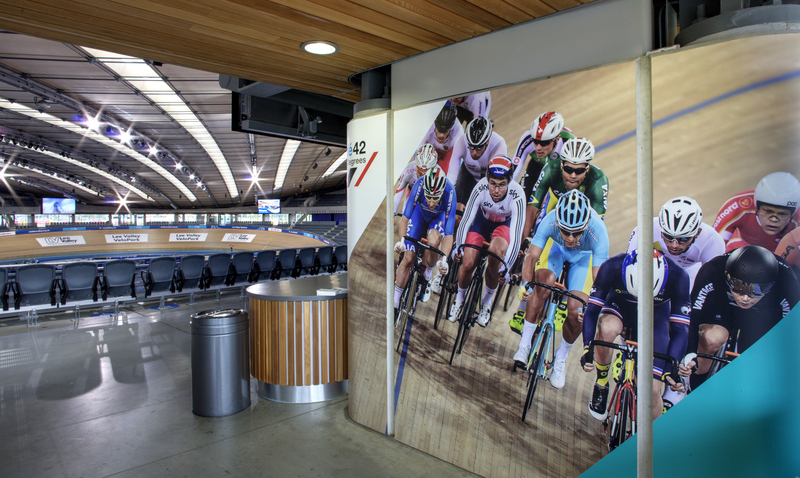 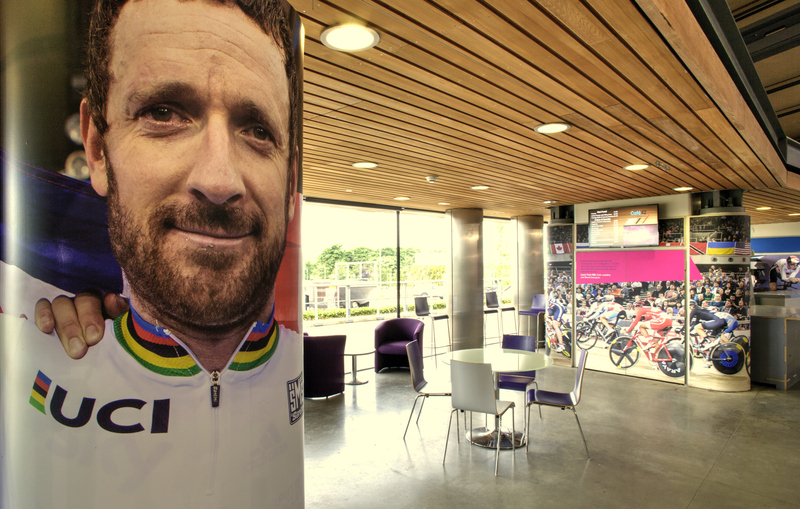 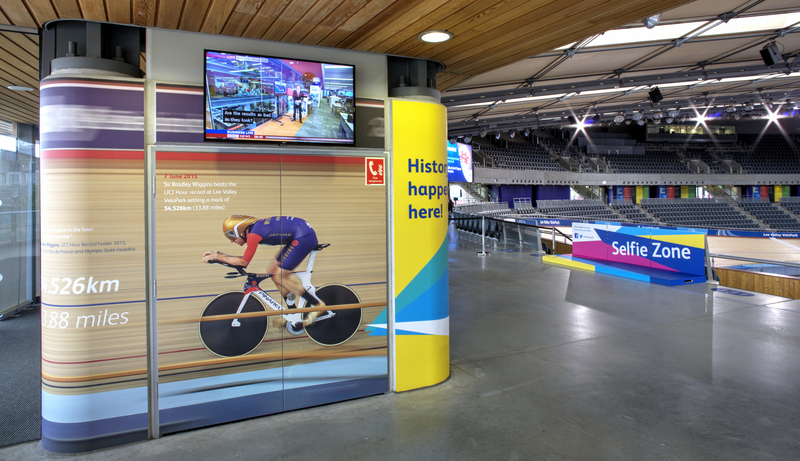 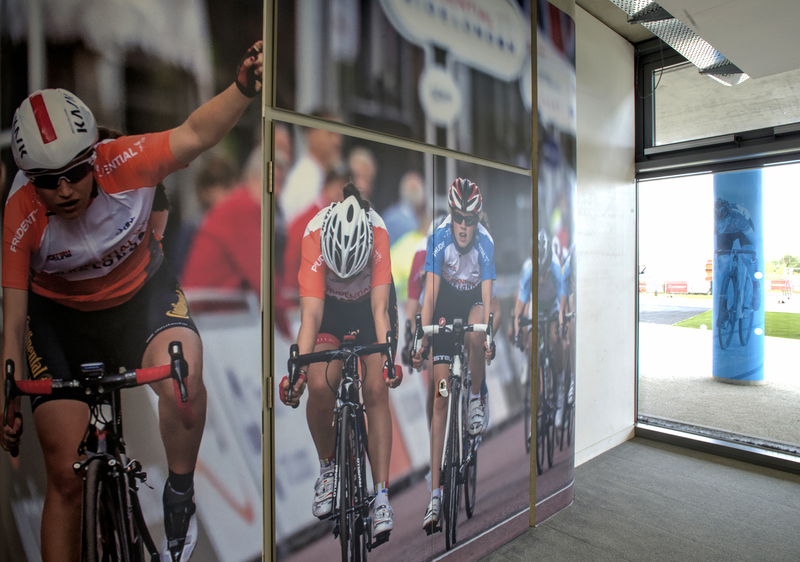 Design, implementation and installation at the Lee Valley VeloPark. 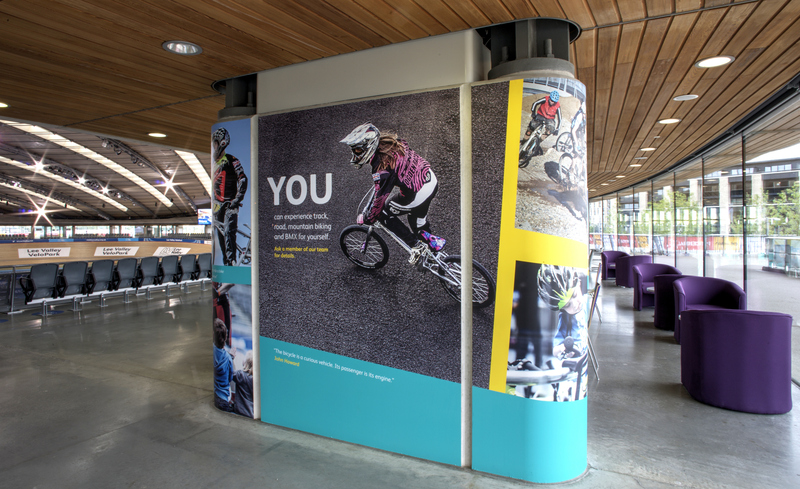 Selfie Zone constructed and vinyl wrapped with separate freestanding panel. 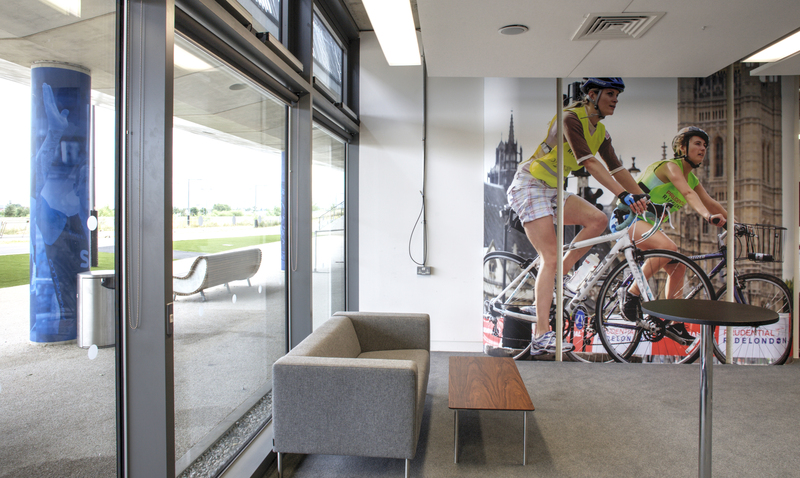 Conformable vinyl prints wrapped around concrete pods in both the meeting rooms and main space. 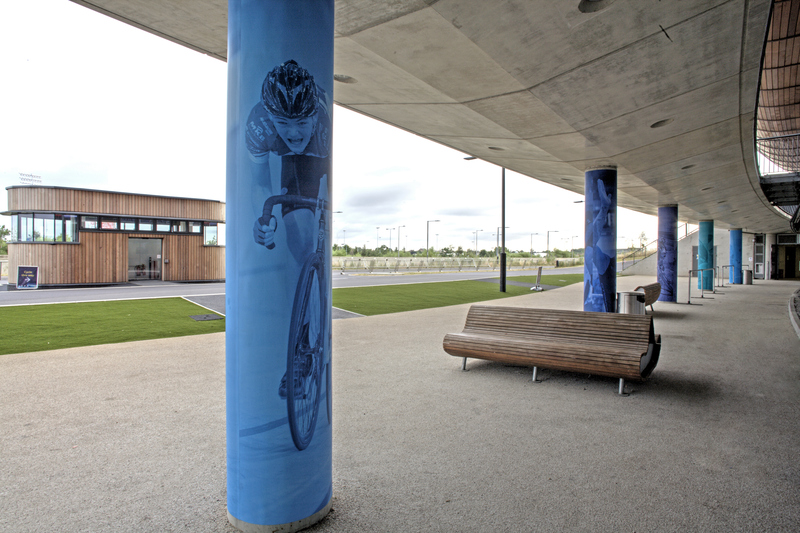 Exterior media wrapped around outside columns. 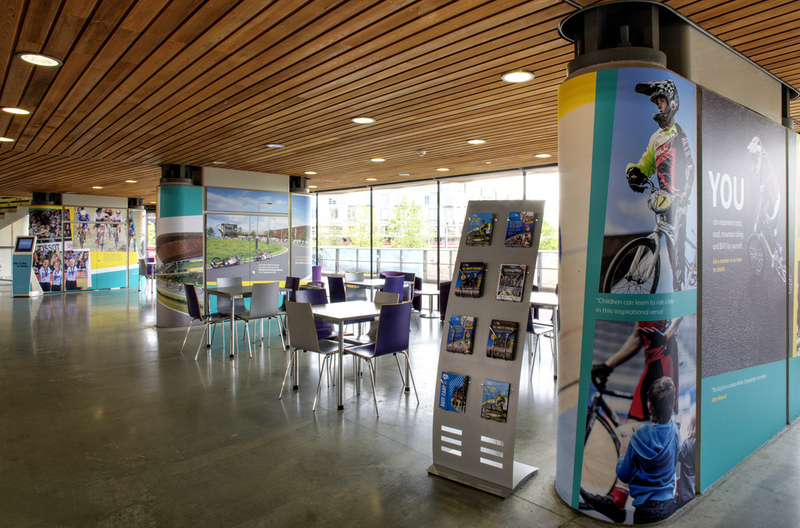 Concepts and direction from Vibrant Partnership. 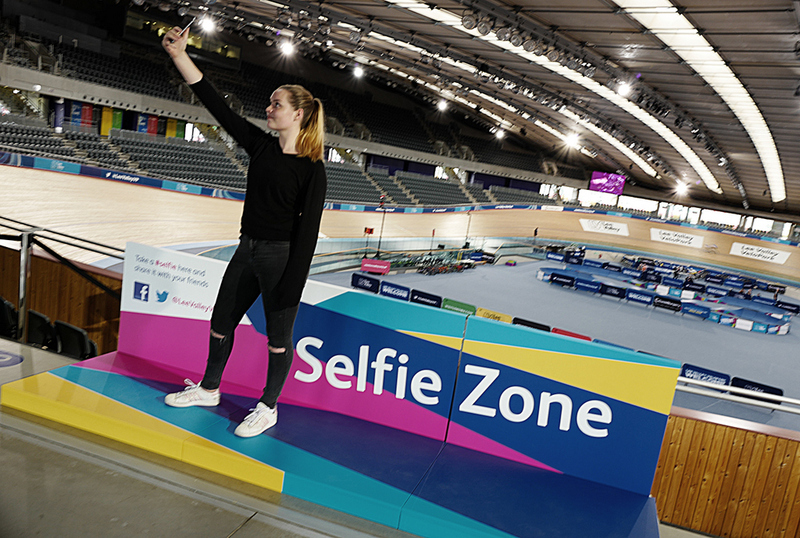 – Kate Ailey, Marketing Manager, Vibrant Partnerships.